Manager pleased to see more goals from midfield. Watch the best of the action in just 90 seconds. Watch our highlights from the Amex Stadium. View the best images as Saints shared the points at Brighton. Watch the boss react to the draw at Brighton. Manager frustrated with Saints' failure to hammer home perfect start. Wesley Hoedt reflects on the 1-1 draw at the Amex Stadium. Read our report from the Amex Stadium. Read what Brighton boss Chris Hughton has had to say about Southampton. Saints boss on Brighton test in the Premier League. Manager wants never-say-die approach at Brighton. All the information you need to plan your trip to the Amex Stadium. Saints' boss on the trip to Brighton in the Premier League. Mauricio Pellegrino looks ahead to Saints' trip to Brighton. 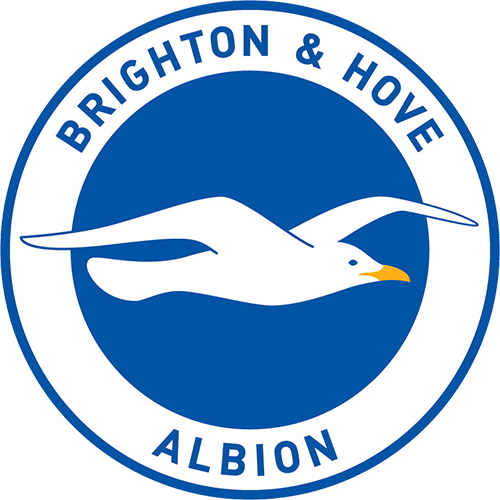 Local reporter Andy Naylor gives his view on Brighton's start to the season. Tackle our latest pre-match quiz ahead of Saints' trip to Brighton. It ends all square at the Amex Stadium, as Steven Davis' early opener is cancelled out by Glenn Murray's second-half header. That's three games unbeaten for Saints. We're into stoppage time at the Amex. Will there be a late winner? Bong goes right through the back of Long and gets a yellow card for an unnecessary challenge. Brighton's second change sees March replace Izquierdo on the left wing. It's a first Premier League appearance for Højbjerg, who joins Long on the field for the closing stages. Looks to be a like for like change for Brighton, as Brown replaces Groß to provide the closest support to Murray. Ward-Prowse delivers the ball low, it flicks up off van Dijk and Dutch compatriot Hoedt meets it at the far post, but can only head the ball over with a defender in his way. Duffy trips Gabbiadini from behind and it's a free kick to Saints in a dangerous position - almost like a short corner in hockey terms. Space opens up in front of Knockaert, who has a go from a long way out but his shot flies into the stand behind Forster's goal. First change of the day is a Saints change, as Boufal's afternoon comes to an end and on comes Redmond. Izquierdo races down the left, cuts inside and shoots with power, but van Dijk stands up and blocks - painfully - at the expense of a corner. Brave defending. First chance for quite some time for Saints, as Bertrand raids down the left and crosses low to Gabbiadini, who gets across his man and makes a good connection, but his shot flicks up off Dunk and loops over. Hoedt joins Murray in the book for shoving the striker in retaliation. Murray tries to kick the ball away from Hoedt after the whistle, and goes into the book for his troubles. Fraser Forster stretches but cannot keep out this inch-perfect header from Glenn Murray (pictured far left). The same duo combine, as Groß whips in a devilish cross, which this time Murray attacks at the near post but sends the ball high over the crossbar. Saints have been on top at the start of the second half, but now they've been pegged back. Groß gets on the overlap and crosses from the right to Murray, who peels away at the far post and beats Forster at his near post with a well-placed header. Cédric finds Boufal in the box, whose clever backheel releases Tadić, but goalkeeper Ryan races from his line to intervene. Ward-Prowse delivers a trio of wicked crosses - one free kick and two corners - but the Brighton defence stands tall to deal with the danger. Saints get us back up and running, attacking the travelling supporters and defending a 1-0 lead. The hosts are upping the ante with half-time approaching. First Knockaert slides in at the far post and sends the ball flying back across goal, before defender Duffy cannot keep his header down from six yards, as Saints survive their biggest scare. Back in the starting line-up! Sofiane Boufal is hoping to make the most of this opportunity after being restored to the starting XI following his match-winning contribution against West Brom last time out. Typical trickery from Boufal takes him to the byeline where he picks out Tadić, who takes a touch and shoots towards the bottom corner, but Dunk gets just enough on it to divert the ball wide for a corner. Tadić is in pain after an off-the-ball incident with Bong, but the referee is not interested in the Serbian's complaints and play goes on. Pascal Groß gets himself into a good position in the Saints box, but his cutback is behind everyone in blue and white and the visitors can clear the danger. Knockaert delivers a swirling free kick into the danger zone that Pröpper meets with his head, but it's an easy save for Forster. There's been very little action at either end, but the one moment of quality from Ward-Prowse is what's opened the door for Saints. It's been a good day for the 3,000 travelling fans so far! The moment Ward-Prowse connected with the free kick, from which Davis headed in the rebound. Mixed emotions for JWP but Saints are in front! Davis heads Saints in front! Ward-Prowse lines up the free kick 30 yards out and is so unlucky to strike the crossbar, but Davis is first to react to head in the rebound from six yards! Get in! James Ward-Prowse chases a ball towards the byeline and delivers a low cross that causes confusion in the Brighton box, with the hosts expecting the ball to run out of play. Good early intent from Saints. The players have completed their pre-match routine on the pitch and are back in the dressing room to listen to Mauricio Pellegrino's final words of wisdom. Ten minutes until kick-off! Some of the players stayed behind after training on Friday to work on their free kicks... Who would you like to see step up today? Mauricio Pellegrino makes three alterations to his starting line-up. Wesley Hoedt replaces Maya Yoshida at the heart of the defence, James Ward-Prowse is in for the injured Mario Lemina and Shane Long makes way for West Brom match-winner Sofiane Boufal. Starting XI: Ryan, Bruno, Dunk, Duffy, Bong, Knockaert, Stephens, Pröpper, Izquierdo, Groß, Murray. Subs: Krul, Goldson, Suttner, Schelotto, March, Brown, Hemed. Starting XI: Forster, Cédric, van Dijk, Hoedt, Bertrand, Romeu, Davis, Ward-Prowse, Tadić, Boufal, Gabbiadini. Subs: McCarthy, Yoshida, Stephens, Højbjerg, McQueen, Redmond, Long. The players are here at the Amex Stadium, and our club photographer was on hand to capture their first look around today's office. It's a 1.30pm kick-off at the Amex, which means we can reveal Mauricio Pellegrino's teamsheet in half an hour's time! What changes would you make from the win over West Brom? Mario Lemina is the only confirmed absentee with an ankle injury. i think they've been a great example as a club with the progress they've made in recent years, in getting that right balance between bringing young players through whilst maintaining good positions in the league. i don't think too many have done that as well as southampton have. We've been at Staplewood this week to capture the players' preparations for this afternoon's match. Check out the footage from training on the above video. our target has to be to enter the international break with six points from these next two matches. we want to end this little period on a high. We caught up with Mauricio Pellegrino this week to get his thoughts on the trip to newly-promoted Brighton. Watch above to see what the manager had to say. It's another Premier League matchday, as Saints make the short journey along the South Coast for their first visit to the Amex Stadium in six seasons. Can the lads make it back-to-back victories following the win over West Brom at St Mary's?